What happens when a new startup wants to develop a new project and has a clear vision but wants to focus on business activities rather than organize and maintain a development team? We had a chance to have a short chat about that question with Joseph Kurian from 249Labs. Xfive: First of all, can you tell us few words about your project. 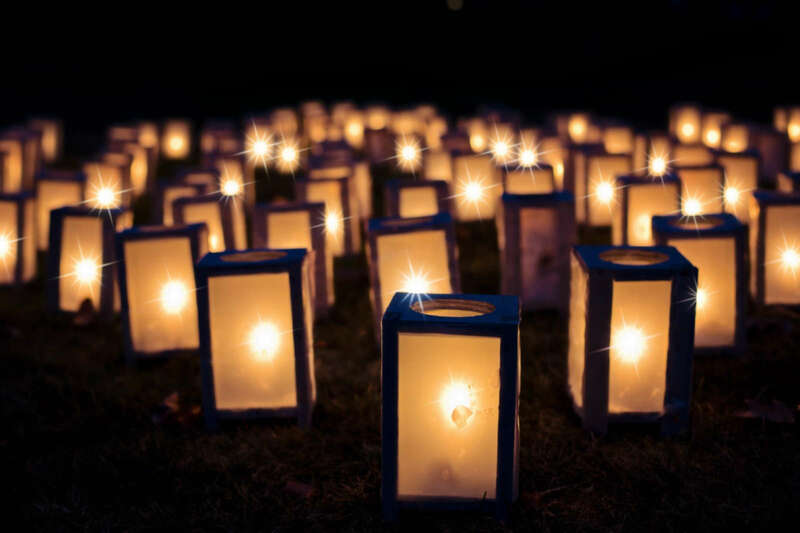 What Open Lantern is? Joseph Kurian: My background is 20 years in large corporate companies in the United States. 99% of that time was digital: websites, and the like, and ten years of that time was in what is now called Marketing Technology. Essentially this is the technology that helps companies use to develop, measure and optimize digital assets which range from websites to mobile to email. Those technologies that drive those initiative all sit under the umbrella we call Marketing Technology. In the last five years, this MarTech space has really exploded in companies. A lot of organizations in the US are building departments that focus on marketing technology. I built and operated the Marketing Technology department for a $62 billion dollar health insurance company. In 2015 I decided to start my own Marketing Technology consulting company. We were going to create a software product that would help those big companies, mainly Fortune 100 firms be able to manage their internal Marketing Technology stack. We don’t build the software to execute campaigns as many MarTech vendors do, but instead we provide a product that allows companies to manage those 10s of technologies they run inside their company. 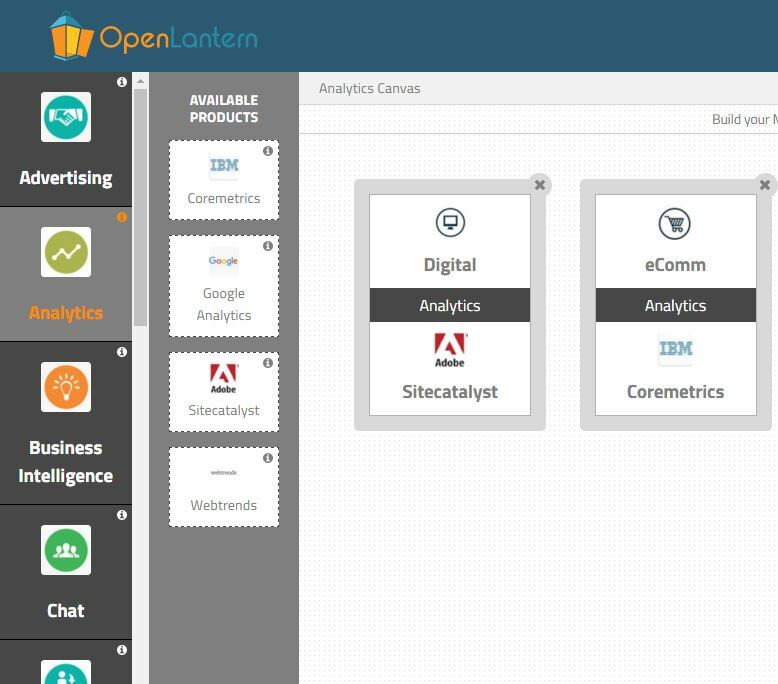 Open Lantern was really created for business users to help them manage Marketing Technologies they have in their companies. It helps them identify why they are running the systems that execute campaigns, who owns it, what efficiency can come from consolidating systems, and whether or not they can improve their cost savings by combining systems. Finally, it helps identify whether the business strategy is aligned to the technology they manage. That’s really the core of Open Lantern: empowering business users in large companies to understand how their marketing technology landscape looks and whether or not their business technology is aligned to the strategy they have. You’ve come to us with a design from an external design company. It wasn’t a typical situation for us because rather than a design background you have deeper technological skills and you’re aware of your needs with your long-term project in mind. Can you tell me, why you chose to hire a remote development team? You know, my background is in what you guys do. I used to be a developer, but it was a very long time ago. In interacting with dev teams for much of my career, I’ve always had a pretty good sense of what’s important. When I was looking to build this platform last summer (2015) I was looking to build it with an in-house team. I was looking to tear it apart into pieces, do the graphic, UI and Dev work through different companies. In working with amazingly talented partners I’ve landed with our current design. I actually loved the design and decided to use it for the final product. After receiving excellent referrals, I spoke to 3 development companies. After exhaustive research and conversations my comfort level was most with Pawel, Xfive’s Project Producer. He understood exactly what my vision for Open Lantern was, understood how his team could help deliver what I needed and had excellent communication skills. In addition he’s a good guy and very easy to talk to. Based on the competence the team showed and the favorable pricing, we decided to go with a smooth transition from design to development and I knew that Xfive would be the right partner for 249Labs & Open Lantern. So finally you decided to do everything remotely: both design and development. Were there more arguments, besides the price, that caused you to choose that course? Price was a one of the criteria in my choice. It became apparent that domestically there was a large difference between the US and any international company. However, when comparing the international companies the pricing was competitive. What I was looking to get and what I got from you Xfive, was actually an understanding of what I was looking to do. I have done this work a lot in my career with many teams before so I put Xfive to the test. I would ask for something and wait for them either to come back to me with the answer that I’m expecting or they come back to me with a question that I haven’t thought of. Xfive did well on all the questions I had. Digital competence and digital knowledge was a really important piece for me so I was happy to pay to have talented partners like Xfive in my journey. It became obvious to me in short order that Xfive had the most comprehension of what I was trying to do and the vision I was trying to deliver. Of course Xfive also did very well on how it was executed – and that validated my selection. Can we call 249Labs a startup? Yes, 249Labs Inc. is the name of my company. We are a corporation based in Tampa, Florida in the United States, and Open Lantern is the first product that we’re launching. The company has been alive about three years but I only started working on it full time ten months ago. Open Lantern launched live on March 1, 2016. Let’s think about some demands that startups have around web development. Are there any typical requirements that you feel startups will have? My experience is primarily with large companies, with thousands of in-house developers, and my startup is now just ten months. But already from my experience I know that we need a vendor who can be a partner. First of all, they need to understand very clearly what we need to do without a hundred of pages of requirements documentation. In big companies we publish huge documents of business requirements and then developers plow through this entire nightmare and six months later they still don’t know what they’re building. I think in the startup environment you need to be working with a development team who understands very quickly what it is you want, and then can very quickly break the task into little pieces, and ask “is this what you are talking about?” or “this is how you see this working” and after receiving feedback, they quickly carry out the work. So I think it’s important to have, and I use this word although I believe it is overused, an agile team that can quickly shift. I think that the most important piece is: does the team understand what are you looking to do. As a startup I just don’t have resources or the time to put together large business requirements and documents. People like Agnieszka who can take detailed spreadsheets of ideas and translate them into back-end requirements and then to have people like Michael and Artur who can take the front-end and create it in a similar fashion to the vision I provided. That is what Xfive did for me. Can we now talk a little bit about technologies that can be found under Open Lantern Project? Did you have a strict requirements of technologies you’d like to use, or was it kind of agreement between you and our team? I completely left the technology choices to Xfive. There were some things we had conversations around, like using the Amazon Cloud and making sure that SSL was implemented, but almost all the technology decisions were left up to you. I think that’s a space where you were able to help me. The foundation and all the technologies we’ve used are the latest technology stack. It is important because when we go out for funding, one of the questions that will be asked is “what is the technology that you’re using?”. The more modern the technology stack, the more favorable the response will be. It is also good to demonstrate that Open Lantern is a progressive product, using the most relevant technology of today. Now that phase one of your project is done, can you tell me some details about future of Open Lantern? Well, now we have something that we can call a product, but I’d like to have something that we can call a platform. Financially, I’m funding it myself, we’re “bootstrapping” essentially paying for everything ourselves right now. Over time we will be going out to get funding to continue the improvement of features and capabilities within the platform. What I’d like is to be in a position in six months to have a broad set of customers and to transform Open Lantern into a platform. We will keep adding new functionalities to make it more useful for our users. We already have a large number of large brands who are using Open Lantern globally and we look to continue adding companies in the future. I have a broader vision of course, but I’d like to wait a little before announcing anything publicly. The important thing is that Xfive built the right framework for me and I can now focus on business aspects of my project. Xfive handled the technical piece and my comfort level is very high, so now I can focus on sales and customer. When it comes to looking for a technology partner, I have found a solid, reliable partner in Xfive and continue to look forward to the work we will do together. Marek Tyniec joined Xfive in 2015 as a marketing specialist. When not thinking of CTRs and Conversion Rates, he rides his bike and writes a cycling blog.